In line with the long list of concessions that Western governments have made to Iran, we now find another deal surfacing. "An Iranian convicted of the 1991 murder of Iranian former Prime Minister Shapour Bakhtiar has been released from prison in France." "Iran recently freed a French teacher who had been convicted of espionage after the presidential election." That's the student who was arrested shortly after the Iranian elections and I remember having wondered what had happened to her. It turns out she has been in Iran all this time. The wikipedia entry on her is quite interesting, she is alleged to have been "volunteering" information about the situation in Iran for some time- note that the French DGSE is like the CIA or MI6, responsible for intelligence outside of France. The poor girl was probably in the wrong place at the wrong time and she's hardly a Mata Hari. Still, she has proved useful in more ways than she expected or hoped for. On a slightly different subject, Iran still holds three American students who stupidly wandered near the border. Whether by themselves or in conjunction with further prisoners the Islamic Republic will acquire, it is still not clear whose release they are being held for. Bear in mind that an Iranian nuclear scientist, Shahram Amiri, "disappeared" whilst performing the Hajj in Saudi Arabia earlier this year. 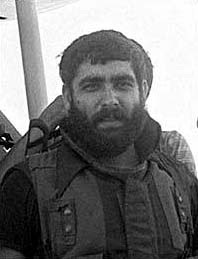 Colonel Amir Mohammed Shirazi of the Islamic Revolutionary Guards also "disappeared" in Turkey in 2007. There are unofficial claims that these men have been captured by the United States, although the Americans say that these have been defections. In all probability it is doubtful that the American claims are true, firstly because Colonel Shirazi is not just any figure, this man is a big deal. During the eighties he was a key figure in the formation and structuring of Hezbullah in South Lebanon. People like Colonel Shirazi do not "defect"; they are "believers" in their causes. You might as well shoot someone like him before they betray their cause. As for Mr Amiri, his defection whilst his entire family is still in Iran is also highly unlikely. The message we get consistently from all these actions is simply this, no man is left behind. To support this, just consider how Hezbullah recently secured the release of Samir Kuntar, something that was considered impossible previously. In 2008, Kuntar was also awarded the Syrian Order of Merit, Syria's highest honour, for enduring the longest period of imprisonment in an Israeli jail (three decades). This brings us to the final point I wish to make. If the Islamic Republic and Hezbullah have this much dedication and patience for securing the release of their people, then it is highly likely that the same can be said when it comes to avenging their champions. Hassan Nasrallah, in one of his recent speeches, pointed out that Hezbullah is seeking a response which is fitting for a man of Mughniyeh's stature, not just a knee jerk reaction. Watch this space.